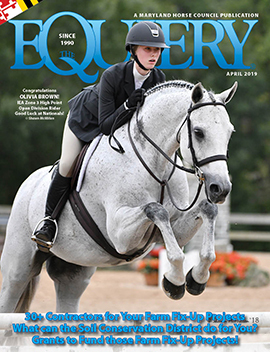 The Maryland Horse Council annually recognizes a professional who has had an outstanding and influential career in the Maryland horse industry. The recognition of the individual is designed to inspire young people to combine their love of horses with their chosen careers. The Horseman or Horsewoman of the year is usually someone in the industry whose work is known but not widely celebrated in the media. This year, the honoree is Joseph Vanzego, a man who brought so much more to his clients than just his farrier services. From Buffalo Soldier to blacksmith, Joseph Vanzego touched the lives of many in Maryland and beyond. As a skilled blacksmith and caring horseman, Vanzego shod horses at private farms, public stables, and racetracks in Washington D.C, Maryland and Northern Virginia for 60 years. This award is not only to recognize Vanzego’s great skills as a farrier, but also to highlight how one man can make such a difference in so many lives. His article pays tribute to Vanzego, who died September 24, 2007. Born in 1922 in Seat Pleasant, Vanzego left his family’s home in 1940 to join the Army, learning the basics of military life in a then segregated Army. When the U.S entered World War II in December of 1941, Vanzego went to Cavalry School at Fort Riley, Kansas, to become a member of the famed Buffalo Soldiers of the 10th Cavalry Regiment. It was at Fort Riley that Vanzego learned the blacksmith trade. A few months after the Japanese bombed Pearl Harbor, the 10th Cavalry was deployed to Fort Lockett, California. Their primary role was to patrol the extremely rugged terrain of the California-Mexican border east of San Diego, providing security for the trains, communication systems, and dams. There they also made sure that no invasion into the U.S through Mexico would occur, something that many military strategists feared. In 1941, while stationed at Fort Myer, Virginia, Vanzego met his future wife Bertha. They were married in 1943 and when the war ended in 1945, the couple moved to Washington D.C, where Vanzego began building his farrier business and his family, a family that would grow to 15 children, 40 grandchildren, 64 great-grandchildren, and 4 great-great-grandchildren. One of his earliest clients was Rock Creek Park Riding Stables in D.C, which is where many years later Debby Poole first met Vanzego. “It was the late sixties, and I was about twelve,” said Poole. “Many times I would stand by and listen to him talk to those nearby explaining his trade. Often the rumble of his low chuckle could be heard down the stall aisles.” At a time when the Civil Rights movement was in a transition period, Poole attended a mostly white Bethesda school, making Vanzego one of the few African-Americans she knew. Vanzego felt that every person, no matter what their skin color, had a purpose in life and he often helped those within his family find theirs. He helped his brother get back on his feet after a troubled time by making him an assistant. He also taught his own son, Stanley, the blacksmith trade. Vanzego once said, “Black people have the same time – 24 hours in a day – as white folks, and they can choose to sit on a stoop and do nothing with it, or they can make something of themselves.” Stanley eventually took on the trade himself. Poole said that Stanley was “trustworthy and kind” and that Vanzego was very proud of him. Unfortunately, cancer claimed Stanley’s life in 1987. Poole tells the story of one three-year-old mare who had not been shod before. The mare was brought to Poole’s farm to be bred and the owner wanted her feet done as well. “She kicked and fought, and as he has all these years, Mr. Vanzego remained calm.” He would “pick up her feet, and did that again and again, until finally all of her feet were done.” Vanzego would rather start the shoeing education of the horses at a young age and often would run his hands up and down a foal’s legs while its dam was being trimmed. Near the end of his life, Vanzego cut down his number of clients. But when he could no longer make it out to them, many horse owners came to him! They trailered their horses to his house, near RFK Stadium, and he would shoe them right in his backyard. Vanzego continued his trade until 2005 when he was 83 years old. Vanzego died on September 24, 2007 at the Forestville Health and Rehabilitation Center leaving behind a legacy worth reporting on, a family to be proud of, and many four legged friends that miss him greatly. A special thanks goes out to Laurel Scott and Richard Rizzo for their help with research and interviews.